International cabaret performers since 1977, still rocking it hard and hilarious. 2 Albums! 1 Night Only! & Idjit Savant in full! click image above to see bitchin' teaser video! 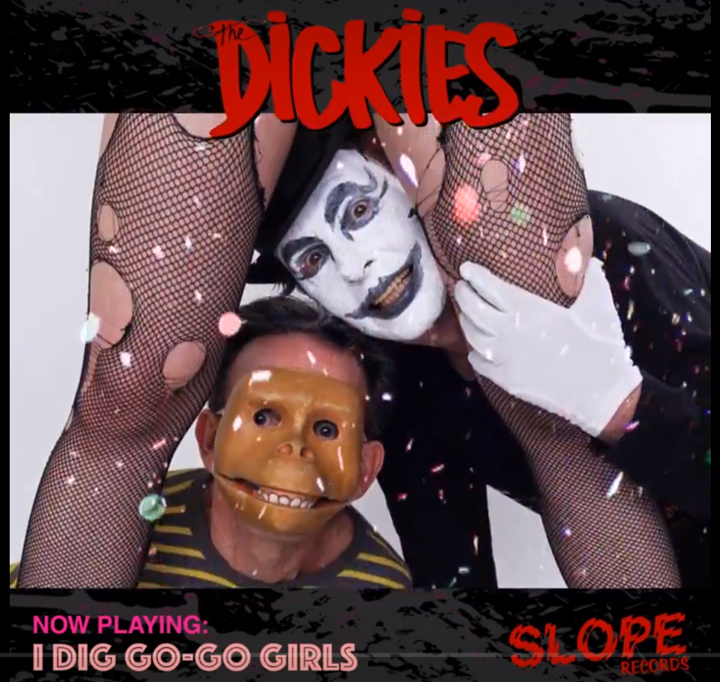 4/19/19: The first new music from THE DICKIES in many years! Ltd Edition 7" Single: "I Dig Go-Go Girls" w/ "The Dreaded Pigasaurus"
A-side features Monkey from The Adicts sharing vocals with Leonard! 4/9/19: NEW MotorMouse T-Shirt! Limited Stock! Art by Leanna Plant. 2/5/19: We've added a GALLERY page featuring photos, flyers/tickets and memorabilia - including commentary from band members past & present! More to be added in the near future. The Dickies Official Online Store OPEN NOW! 2/4/19: Where Will You Get It? At the store, of course. I’m happy to announce that after DECADES of mayhem & inactivity the Dickies are opening an online merch store. It’s been WAY overdue and now Dickies enthusiasts from all over the world can have their swag needs met. No not THAT Dickies. That line is for squares. THIS Dickies. The legendary pop/punk band who’ve entertained and influenced so many for so long. I wanna load it up with Dickies toasters, cell phone covers, capes, spats, dogfood bowls and even buttplugs. Don’t think I’m not working on it. 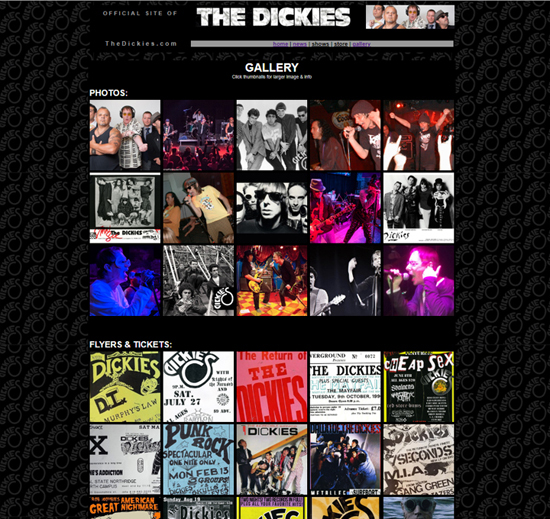 The Dickies Official Online Store COMING SOON! 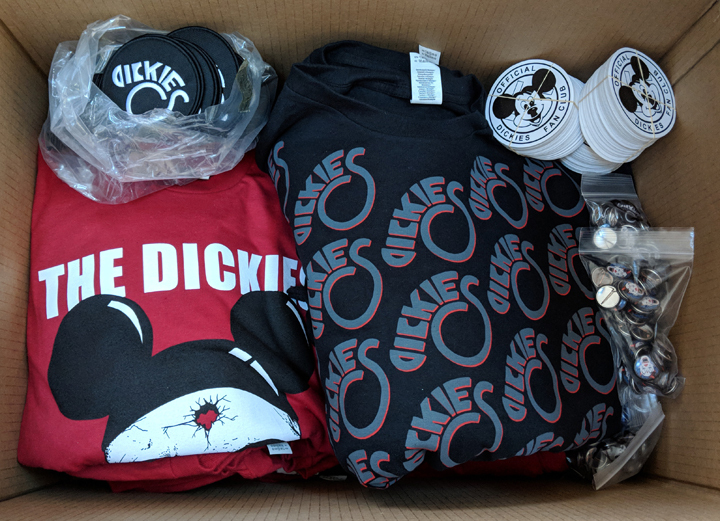 1/31/19: The first box of limited edition merchandise for the VERY FIRST OFFICIAL DICKIES BAND ONLINE STORE EVER has arrived! We will launch next week! BITCHIN'!! 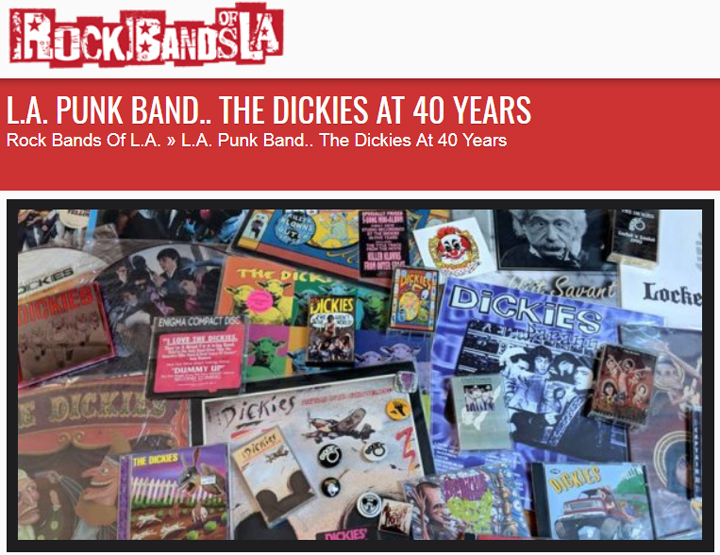 RockBandsOfLA.com talks to Leonard about The Dickies, punk rock, musical influences, etc. "We were first to sign with a major label which immediately put the arc of our evolution and success way beyond that very same scene who’d embraced us previously." 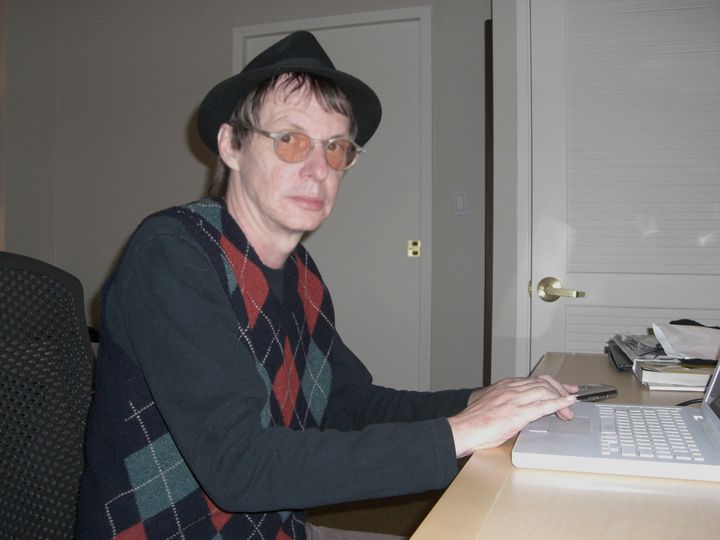 Leonard Graves Phillips, the esteemed singer of The Dickies, is working on a book. It's a collaborative effort with illustrator Jason Smith. "A collection of short stories - autobiographical in nature and (hopefully) humorous in tone. Before, during and in a metaphysical sense, after The Dickies". More details coming in the not-so-distant future. 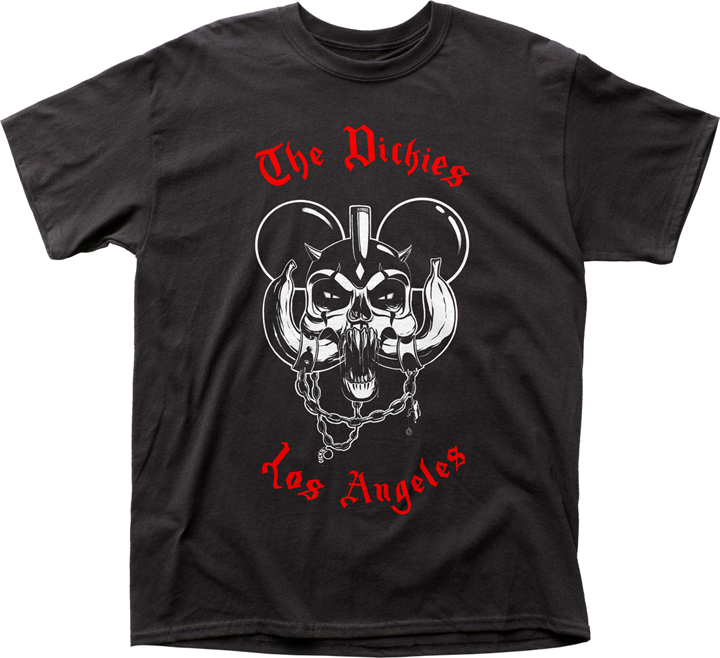 Check back in the near future for more news updates regarding new Dickies merchandise, new Dickies music, etc.